Arboviral infections have been identified as a main public health concern for the Lao PDR. Surveillance systems developed by IPL since 2012 have been recognized as a major tool for the Lao health authorities for arbovirus prevention and control. Data gathered for now five years are used to anticipate dengue seasons. Thus, observations of changes in dengue 4 transmission since 2014 helped providing a scenario for the dengue epidemic in 2017. 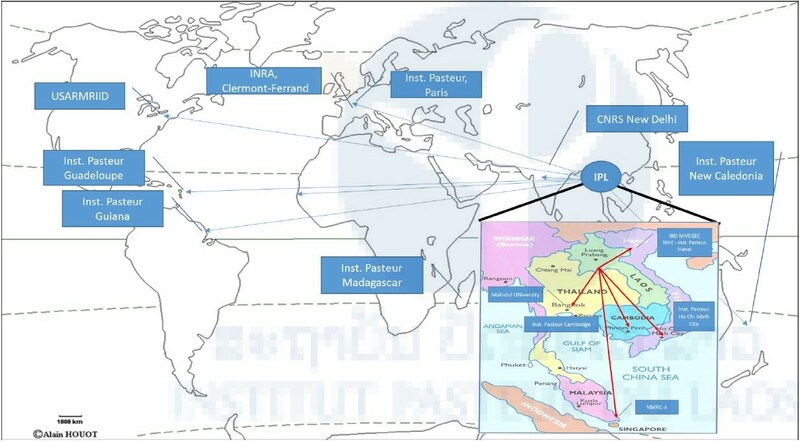 Improving data analysis is a main objective of the Lao work package within Ecomore 2 project, a new regional three years project launched in September 2017. 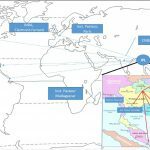 Partial sequencing of dengue virus genomes has been developed increasing the capacity of the AEVD laboratory to document the origin of dengue virus circulating in Lao PDR. 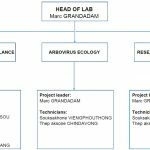 The AEVD laboratory develops fundamental research in parallel of its surveillance activity. A study focusing on the kinetics of dengue viremia lead to the adaptation of diagnostic algorithms and provided information that may have an impact on dengue virus epidemiology. New technical capacities were also acquired through this project. A platform for experimental infections of mosquitoes has been set up opening perspectives to go further on that topic in country. 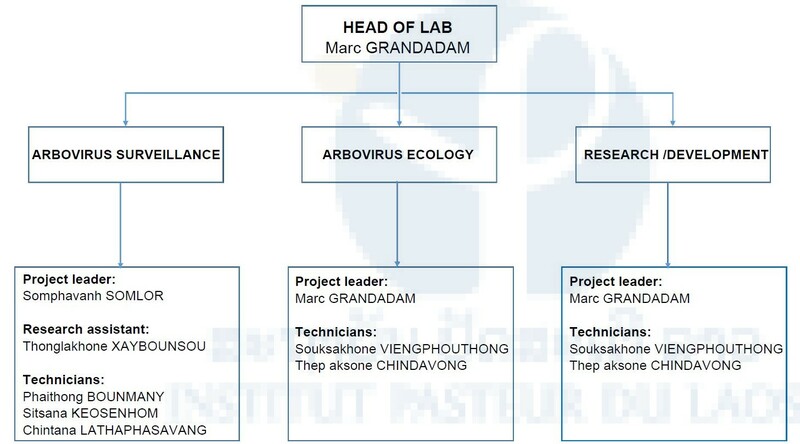 Arbovirus ecology is the second main work axis of the AEVD laboratory. Investigations of ticks and sandflies provided encouraging results, valuable biological material and new information for the mapping of species and viral pathogens. 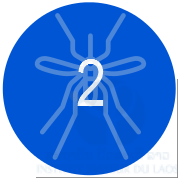 A constructive collaboration with a new generation sequencing plate form at the Institut Pasteur, Paris will now help establish a complete genetic characterization of the viral sequences detected in arthropods specimens.